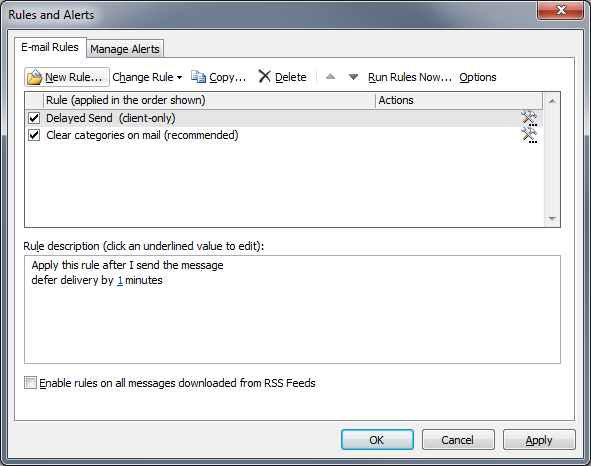 Ever sent an email then instantly regretted it or hit ctrl+enter when you actually meant to hit ctrl+k (check names)? 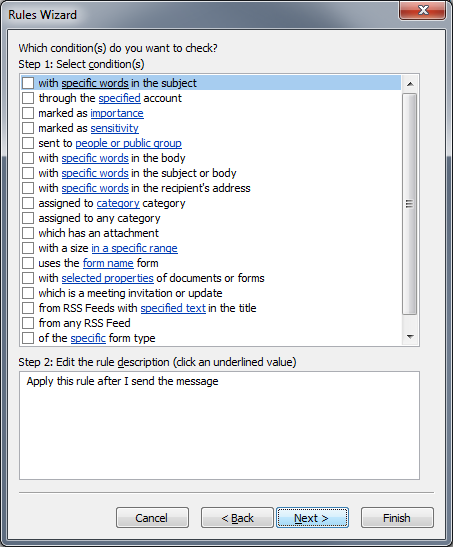 You could just add a gibberish recipient to a draft email to prevent it sending, but there must be another way. 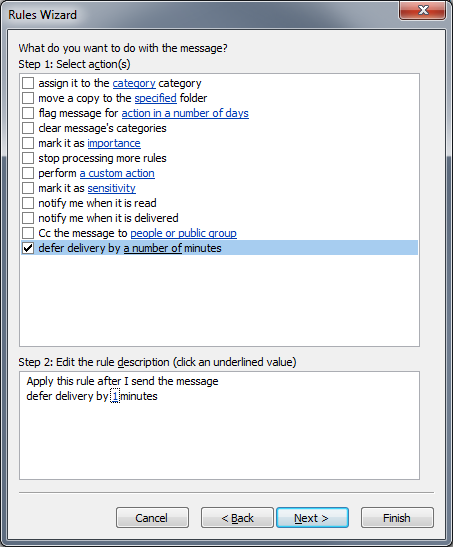 Here is how to add a delay so that an email stays in your Outlook outbox for a minute before being sent. 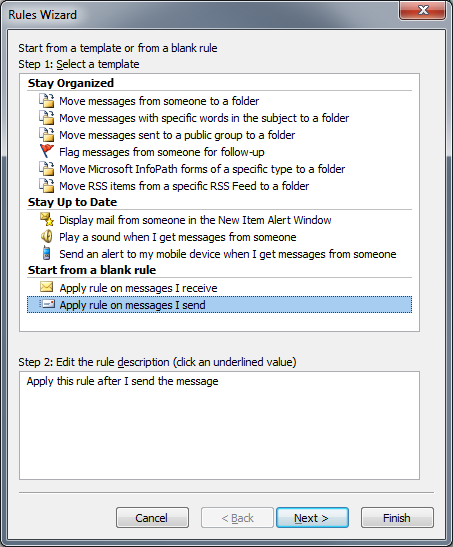 From the “Rules” button on the home tab of the Outlook ribbon click “Create Rule…” then follow the pictures.